When someone using to browse something on browser and they use Google Chrome, They face the problem of loading page. And after far waiting, there is no result showing. The Chrome browser only showing the surfing round and round. And you madly waiting for it. So, for these types of problem, SKOTechlearn will fix Google chrome not working or not loading page problem in windows 7/8/10. Most of the user asking question that I refresh chrome many times and uninstall and reinstall Google Chrome and clear cache many times and also reboot my system many times. But the problem is same. Please give right solution. Why this Problem like not working or not Loading Page occur? This problem occur due to system’s some missing, corrupt or crash files like:( dll, ocx etc). Many times these corrupt files interrupt other installation package. So, we have to face these types of problems. It will occur due to virus or any type of malware which is the cause of all these things. So, here we are solving this problem. Try the solution which SKOTechlearn mention bellow, may be there is some other solution, but in my case, the problem has been resolve due to following solution. First, Check your system have any antivirus exist or not. If not then it will defiantly cause of some file missing due to virus or another reason. Due to missing or crash of DLL or another supporting file of chrome, it shows the problem of loading page. In my case, when I run my windows without any antivirus. And surfing content on chrome browser, the same problem I face. In compulsion, I have to use Mozila Firefox old version, because Mozila Firefox’s latest version showing the same problem in windows. After some months, my close friend suggests me to install Antivirus on my system. 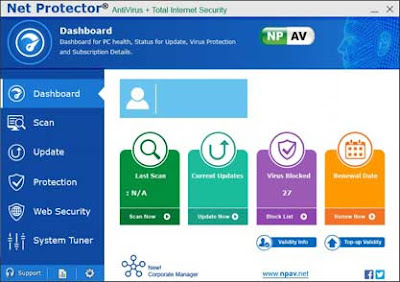 So, I think, let’s try once.Then, I purchase NPAV (Net Protector Antivirus), antivirus and install it in my system. Friends, you don’t believe that, when I scan my system by this antivirus, and reinstall Google chrome again. And surfing content like google.com, it was a magic that there is no loop of loading website or web address. It began to show all content of any webpage. Now, Which is the most important Understandable point is, when we using any antivirus (like: AVG, Avast, NPAV, Caspersky etc) on our system, it fixes all corrupted or crashed dll or Ocx or any supporting files from system which stop or interrupt some supporting file of other installation package like google chrome, Mozila firefox etc. 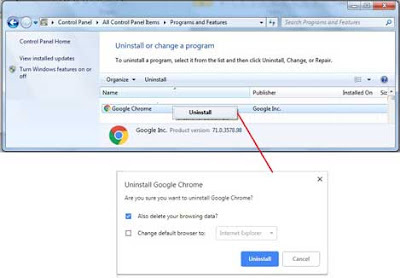 If you have install chrome before, it is necessary to uninstall it otherwise go to next step. It is important that after any uninstall process, there is reboot process necessary for complete uninstall to clear all data that particular application. After that install any antivirus and scan drives specially system drive like "C:\". 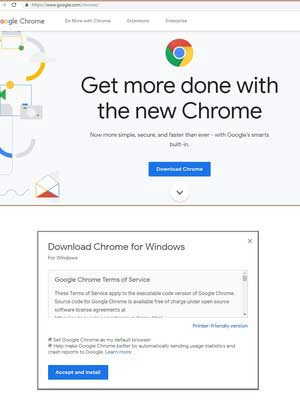 After full scan of drive, go to download page of Google chrome official website through internet explorer. And install it again. When you process all these steps. You will find a smooth page loading on browser. So, these are the process and the solution of fix Google Chrome not working or not loading page in windows 7/8/10 with SKOTechLearn.